A Digital Video Recorder, or DVR, is a simple way to watch your favorite shows. You can also access recorded show on the go on virtually any Internet-connected device. It lets you record any TV program and watch it when it is convenient for you. It also allows you to rewind and fast-forward live TV, set recordings, play back shows, delete and manage recordings all from your EZVideo devices or remotely via the EZVideo app. Schedule a program, series, or movie to record. Specify record options to end a recording late, or choose channel preferences. Keep an eye on your storage capacity here in the upper right of the Manage Recordings screen. From a live program - Press the "Select" or "Ok" button, depending on your remote. This will bring up several options, including the Rec option. From the Guide or Browsing - Select the program you want to record while browsing anywhere within the Guide, Replay TV, Search or while browsing Shows & Movies. This will bring up the detailed information about that program including some options below. You should see a "Record" option, select that button to start the recording. From there you should get a choice to "Record this program only", or "Record future episodes". The latter option may also provide a list of channels that the program will aire and you can select any or all of the listings. 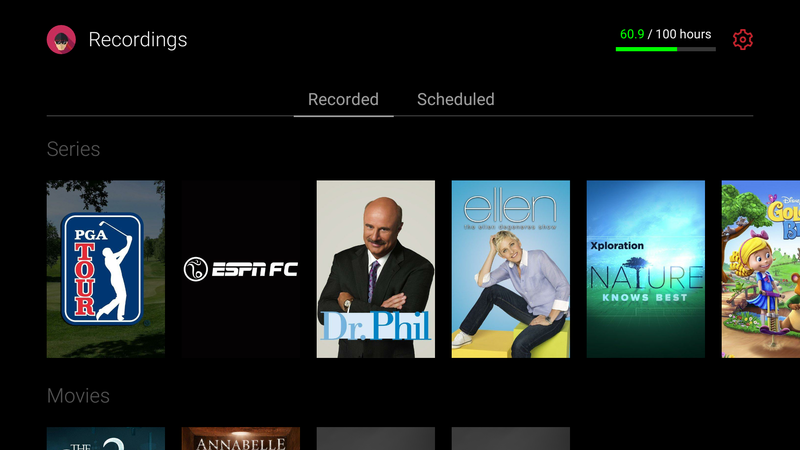 To view, edit and delete your recorded programs and series, access the DVR and Settings option from the Main Menu. Here you can view all of the programs that are recorded and ready to watch on your device. To play a show go to a title and select "View Recordings" to view a listing of all the recordings of that particular program. Select a recording and then select "Play". Cancel Series Recording - This allows you to cancel all future recordings for this series. Recording Options - Here are a few options that effect the entire series recordings. Episodes *NEW* - Choose between "New Only" and "New and Rerun". Channel - Choose the channel or channels to record this series from. Extra Time - Add extra time to the recording of all episodes in this serires.